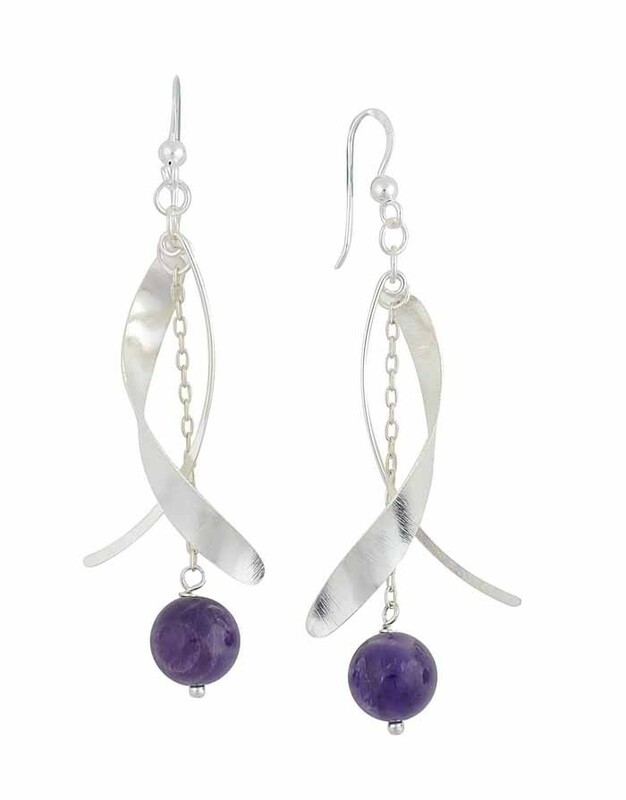 Charmingly simple in their design, these sterling silver drop earrings are ones to truly adore. 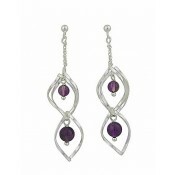 Each one features two curved bars - one thin and one wide - that cross over elegantly during wear. 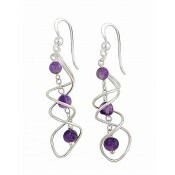 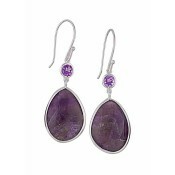 For an addition of colour, two Amethyst beads sit suspended on silver chains and add a dash of elegance to your look.